LOS ANGELES, CA (Laserfiche)—March 28, 2011—Laserfiche (booth 8), a platinum sponsor of Gartner’s Portals, Content and Collaboration Summit, will deliver a special educational session titled, “Maintaining Governance, Risk and Compliance Standards with a Mobile Workforce.” The session will take place today at 3:15 p.m. in the Platinum Ballroom E at the JW Marriott LA Live. How governance, risk and compliance (GRC) standards can be maintained with a mobile workforce. How to design an IT infrastructure that strikes the right balance between mobility and information security. 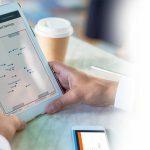 How to select an enterprise content management solution that combines the flexibility of mobile devices with the manageability of centralized control. “Organizations that are able to extend their information governance strategy to encompass mobile technology will reap a wealth of benefits by enabling ‘enterprise content mobility’ with mobile ECM,” said Wang. 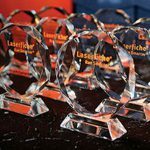 Laserfiche will also host a “World Tour of the Run Smarter® Philosophy” reception in the Gold Ballroom Salon 2 (first floor) on Tuesday at 5:30 p.m. Attendees will enjoy networking, complimentary copies of a new white paper titled, “GRC: A Framework for Organizational Sustainability” and tasty treats from around the globe.